Washington, DC, USA (April 1, 2016) — InPark recently held an exclusive interview with NASA Administrator Charlie Bolden on a radical new direction the space agency is planning to take starting in 2017. 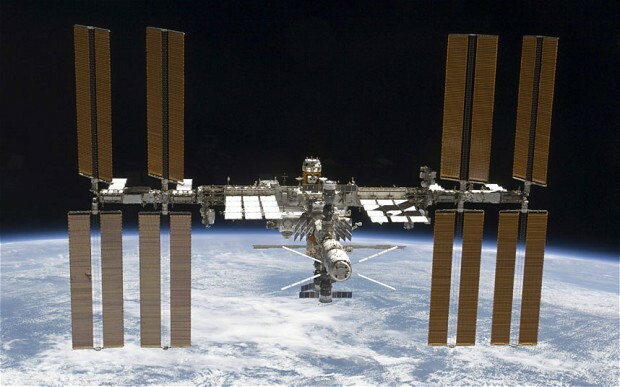 The new attraction will involve a training session, an actual flight to the International Space Station (ISS), and a return to Earth in a Soyuz spacecraft. Bolden continues; “We discovered that when the Russians charged millions to launch tourists to the ISS, only a few people took up the offer. Polls conducted at our NASA visitor centers around the country indicate that people don’t care about science and want something exciting and franchise oriented.” To that end, NASA has teamed up with two major studios to license their film IP along with four leading themed entertainment design firms. According to Bolden: “They are the best for what we have envisioned.” Each of the four will handle one of the four elements of the new attraction. As part of the training segment of the attraction, acclaimed cinematographer James Neihouse, ASC will create a five minute video teaching guests how to film their own experience using IMAX film cameras. According to Bolden, the retired space shuttles Endeavor and Discovery, currently on display at the California Science Center and the Smithsonian’s National Air and Space Museum, have been secretly undergoing refurbishment for the past three months and will soon be recommissioned as the shuttles used in the new attraction. As NASA no longer has any 747 Shuttle Carrier Aircraft, once the shuttles are fully operational, they will be moved by robotic crawler to the Kennedy Space Center for testing, with the transport of each shuttle expected to take two to three years. An additional six years will be needed to modify the Vehicle Assembly Building and Shuttle Assembly facilities to their configurations prior to the end of the shuttle program. Three more years will be needed for full shuttle testing. Bolden believes that the $80 million admission price will have the attraction paying for itself within thirty years. The estimated length of experience will vary between four hours and three years, depending on where guests crash land. InPark would like to thank NASA Administrator Charlie Bolden, NASA Public Information Officer Avril Füsdae, Bob Rogers of BRC Imagination Arts, Phil Hettema of the Hettema Group, Scott Ault of Rethink Leisure & Entertainment, and Craig Hanna of Thinkwell Group for their contributions, real or imaginary, to this article.